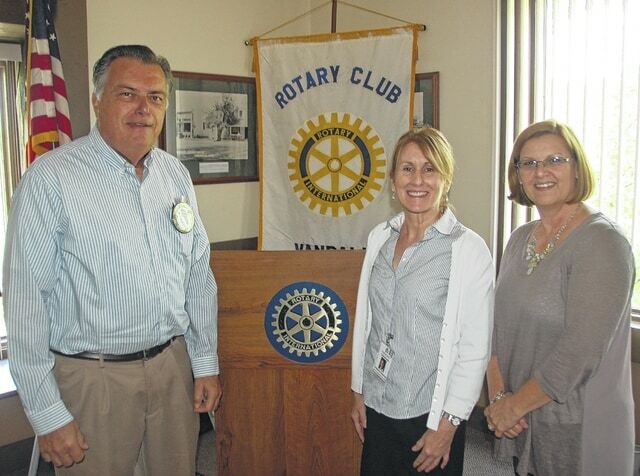 From left to right are Rotarian Bill Hibner and St. Vincent DePaul representatives Rebecca DeLong and Cathy Campbell. In 2014 the Gateway shelters for the homeless provided 126,000 nights of shelter. They also have the largest food pantry in the county. On Sept. 19, they will host the second annual mission gala with a fundraising goal of $100,000 to support the mission of providing assistance, shelter and hope to more than 100,000 persons in the Miami Valley each year.